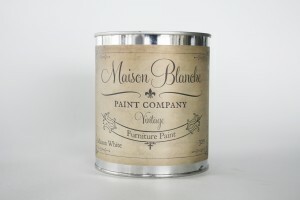 Maison Blanche Paint Company’s Vintage Furniture Paint does not contain chemical drying agents. This allows for a longer “open time”. The paint is allowed to settle and smooth out as it dries with minimal occurrence of chalk balling and brush strokes. Touching a piece painted with our Furniture Paint is like touching velvet! Our Vintage Furniture Paint dries to a soft, velvety finish and is extremely low in organic volatile compounds, making it a green and eco-friendly alternative to oil based paints so often used on furniture. This water based paint has little to no odor; you can create your masterpiece just about anywhere without fear of reprisal from your delicate senses. Our Paint has been carefully refined and perfected to the last drop. It has been specially formulated for painting furniture, cabinetry, and trim. Silky and smooth, the paint can be applied using a variety of techniques in addition to ‘straight from the can’. It can also be used to top off any existing furniture finish, without the need for stripping, sanding, or priming. 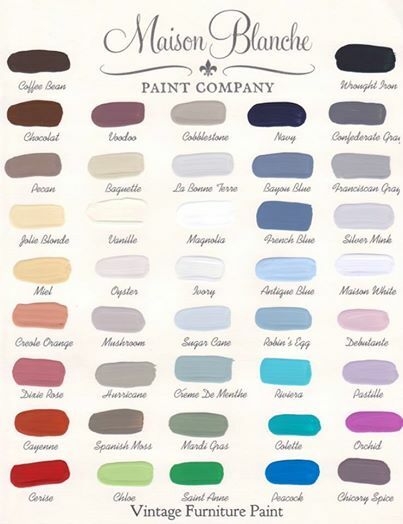 Our Vintage Furniture Paint will adhere to most surfaces. Finish and protect with Maison Blanche Paint Company’s Antique Wax or Varnish. Please allow our Vintage Furniture Paint to cure for 48 hours in order to reach it’s full durability and strength.